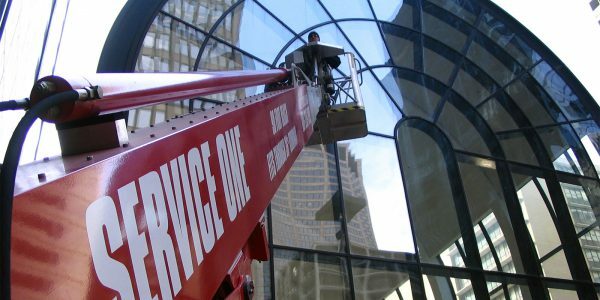 As a factory authorized ReachMaster distributor specializing in sales, service, and rentals. 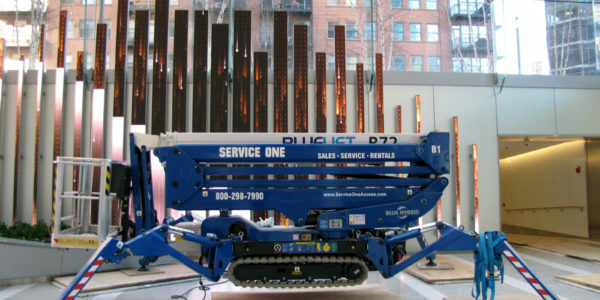 Service One stocks ReachMaster, and Bluelift track mounted atrium lifts for rent, re-rent, and purchase throughout North America. 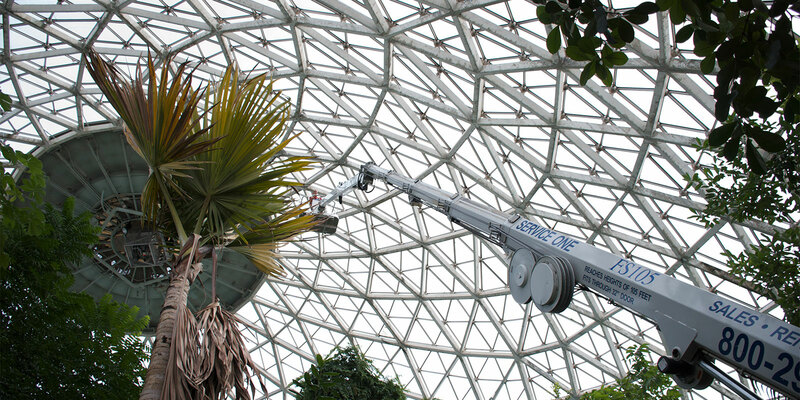 The amazing ReachMaster lifts access heights between 90 to 108 feet- and fit through a 32-inch wide door. Models FS-121 and FS-138 reach 121 feet and 138 feet respectively, and fit through a 36-inch wide door! 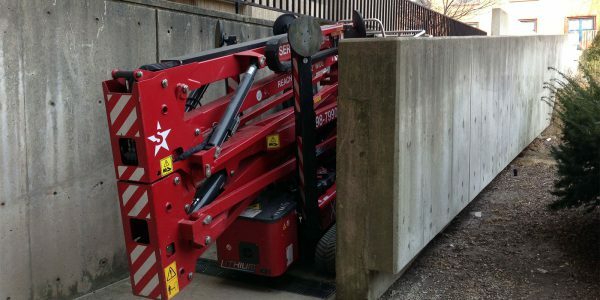 Model FS-T170 reaches up to 170 feet, fits through a standard double door. 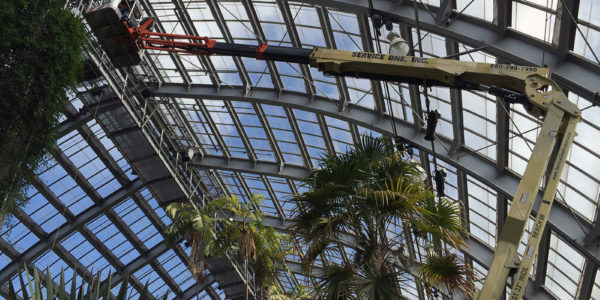 ReachMaster lifts are also known for their unusual horizontal outreach, typically 45 feet, it is well beyond the typical 35 feet of comparable lifts. Engineered for projects requiring low floor pressure loads and compact and flexible outrigger footprints, a sturdy frame with double jib, all powered by lithium ion batteries for indoors and on-board gasoline generator for outdoor use.